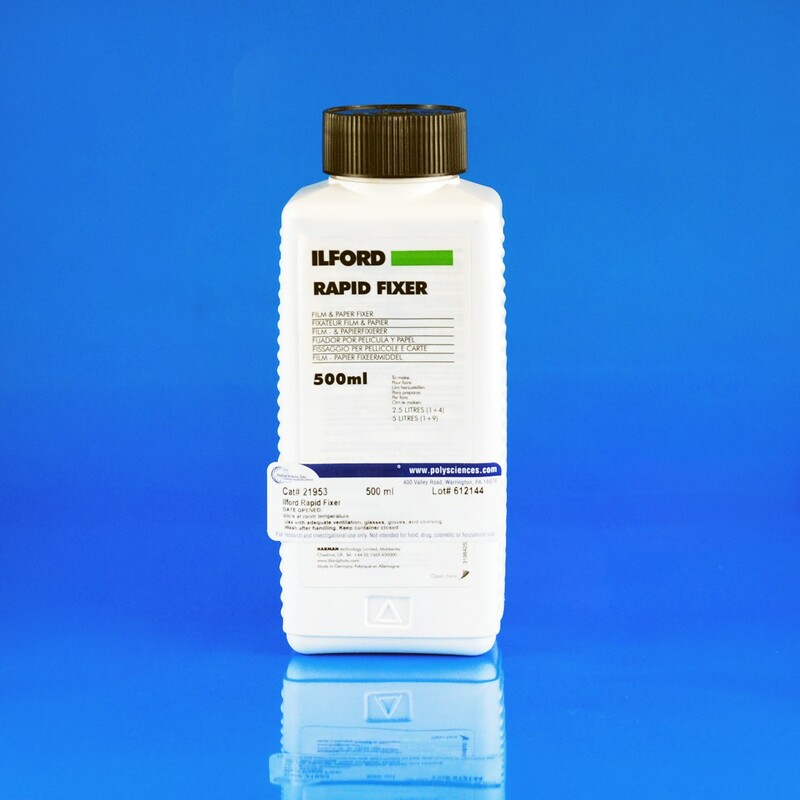 Ilford Rapid fixer | Polysciences, Inc.
Fast acting, non-hardening ammonium thiosulfate fixer that assures complete fixing of all Ilford papers in as little as 30 seconds and can be used to fix film. Ideal for fiber base and resin coated papers. Useful for archival processing and is recommended for Ilford emulsions. Can be used in a 1:3 dilution.